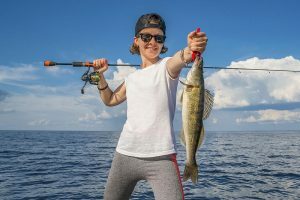 Saginaw Bay had good perch fishing around the first set of buoys along the modern shipping channel past Spoils Island. The fish ranged 8 to 12 inches and several limit catches were reported. Other spots worth trying would be near Buoys 17 & 18, and out near the Spark Plug in 23 feet. The perch action was spotty off Quanicassee in 9 to 13 feet. The boats that got out the earliest seem to do best. A few bigger fish were taken in 15 to 18 feet. 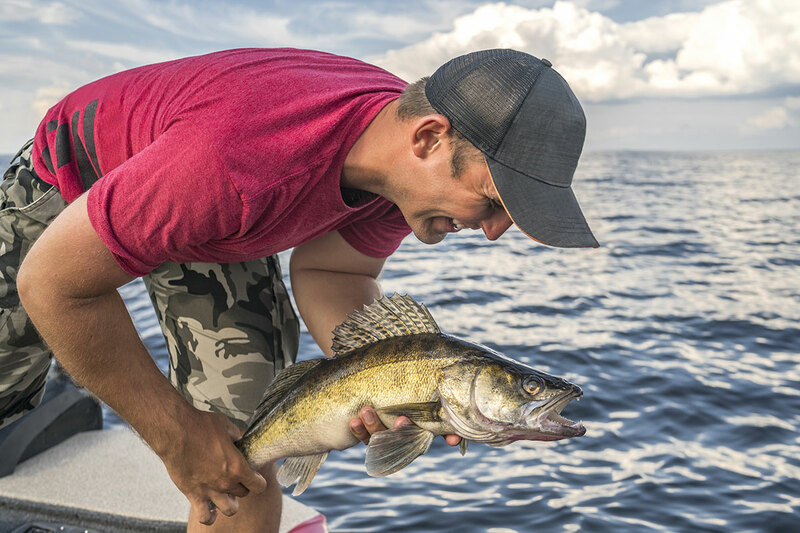 A few walleye were taken in 13 feet off the Callahan Reef and in the Slot between Sebewaing and Bay Port. Unlike last week, the key to success seemed to be moving around until you find an active school of fish. 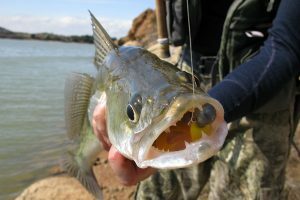 Au Gres Area: some perch were caught in 35 to 42 feet straight off the river mouth. 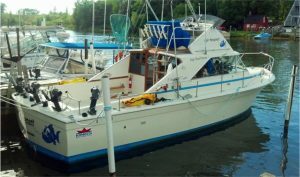 Fish were also found in 10 to 15 feet off the Saganing and Pinconning Bars but no big numbers. The keepers were 8 to 10 inches. 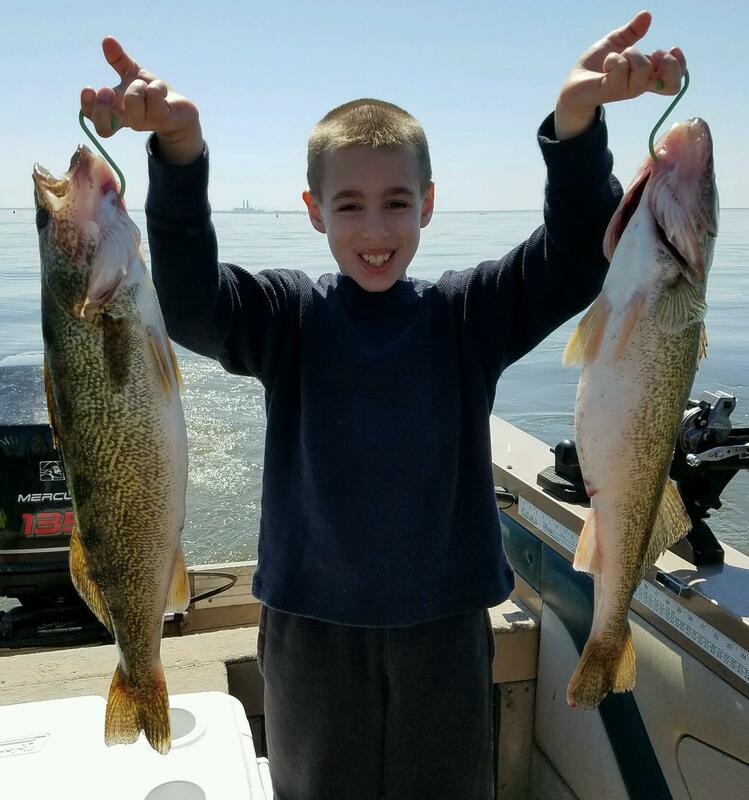 A few walleye were caught in 25 to 30 feet with a crawler harness. Oscoda anglers trolling in 120 to 160 feet off the river found lake trout near the bottom when using spoons. Boats trolling near the mouth of the river have seen and marked Chinook however catch rates were slow. 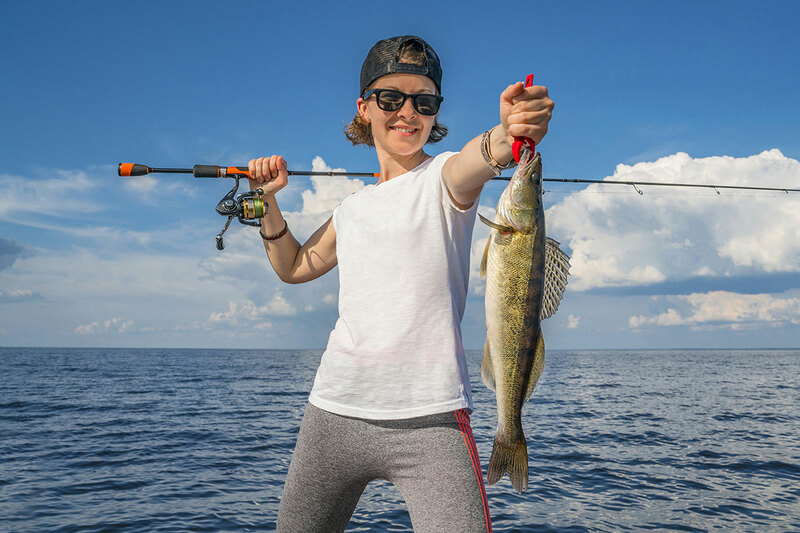 Pier anglers caught a few walleye on crank baits. Those still-fishing crawlers in the evening caught channel cats and a couple walleye. 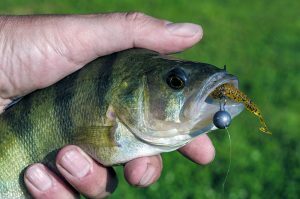 Those drifting crawlers under a float caught smallmouth bass, rock bass and a few small perch. Au Sable River Chinook salmon have been seen at Foote Dam, and a few decent steelhead and smallmouth bass were caught just below the dam when drifting skein and worms. An Atlantic salmon was caught near the mouth. Those drifting crawlers picked up a few walleye and smallmouth bass. Channel catfish were taken by those still-fishing with crawlers. Tawas Area #walleyefishing was slow with only a few walleye taken around the weed beds. Perch anglers were sorting through lots of small ones to get a few keepers. Walleye trollers going south toward Alabaster took a few fish on a crawler harness in 24 to 40 feet. There were rumors of a few Chinook staging off the mouth of the river. Fall can be an ideal time to target panfish as cooler temperatures arrive and aquatic vegetation starts to decline. As a result, these species can be found in much shallower water than usual and will be perfect for targeting. When choosing your bait don’t be afraid to go with something a little more substantial, such as small plugs and spinners. And of course, the standard hook and worm never hurts! Be sure to target panfish in their favorite fall locations as well, including by deep weedbeds or near drop-off points. Want even more information on targeting Michigan panfish this fall? Check out their page on the Michigan Fish and How to Catch Them website.